Join us for one of the must-see places on your Hong Kong adventure, a day-trip to Lantau island. Scroll down to book the tour directly. Transport is included, food and drink are at visitors’ own expense. 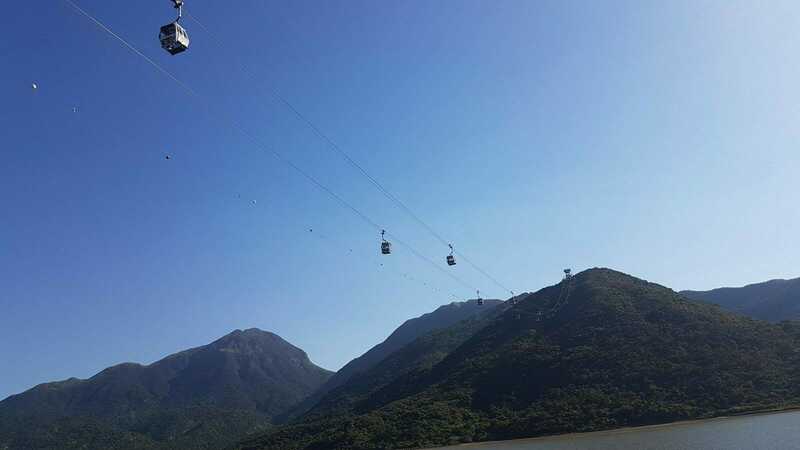 Starting in Tung Chung, we will enjoy the panoramic scenery of the airport island and Lantau’s many mountains on the glorious 24-minute cable-car ride to Ngong Ping Village. Whilst at the Po Lin Monastery and Big Buddha statue, we will help explain the importance of Buddhism and how it is represented in the hearts, minds and belief system of the people of Hong Kong. We will also be walking the 268 steps up to the Big Buddha. We will then transfer to Tai O village, a must-see for anyone living or visiting Hong Kong. This relaxing village is one of the best preserved places on Lantau, indeed the whole of Hong Kong, largely owing to the efforts of the local community… and a place to just really slow down. Situated at the end of the Pearl River Delta, where it meets the South China Sea, its history and culture are intrinsically linked to its geographical location. We will take a small boat ride to view the stilted houses and visit the Tai O Heritage hotel. We will return by ferry to Tung Chung, the journey being overlooked by the Hong Kong-Macau-Zhuhai bridge, which is still under construction. Understand this friendly island with us on this Hong Kong group tour, exploring the monasteries, temples, stilted houses, walkways, traditional fish and fish product production, plus the opportunity to buy unique homemade sweet treats and seafood. We share our passion of Hong Kong on our private tours with qualified guides otherwise known as “Greeters”. We are currently running this initiative to support newly qualified guides who wish to share their love of Hong Kong with you. * This is NOT a full car tour, we provide private car transport from your hotel to and from the town of Tung Chung ONLY. We can provide a full day private car tour to Lantau, details about all our car tours can be found here.